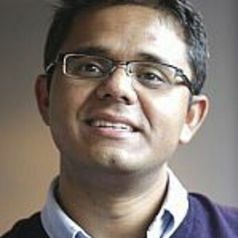 Mostak Ahamed is a Lecturer in Finance at the Department of Business and Management, University of Sussex, UK. He holds a PhD in business and management from the Queen Mary University of London. Before joining Sussex, he taught at Queen Mary, UCL, and London Metropolitan University as a teaching assistant. He also worked as a research assistant at the Centre for Research in Equality and Diversity, UK. He is a Fellow of the Higher Education Academy. He undertakes research to overcome the obstacles of financial development with special emphasis on access to finance, bank and firm performance while using robust econometric techniques and large cross-country panel data. The research questions that he addresses are motivated by and engaged with contemporary policy issues. His recent papers appeared on Economics Letters, Economic Modelling, Journal of Economic Behavior & Organization, Journal of Financial Stability, Journal of International Financial Markets, Institutions & Money, and British Journal of Industrial Relations. He has been an ad hoc referee for The Economics Letters, Journal of International Financial Markets, Institutions & Money, Economic Modelling, Journal of Financial Stability, Economic Systems, and Borsa Istanbul Review.